Food systems are complex and multidimensional, encompassing everything from production and distribution to waste disposal and food consumption. It includes sociocultural, economic, environmental, and political aspects, and includes food producers, food-chain actors, consumers, and others who manage multiple, linked agri-food value chains within dynamic food environments. The complexity of these systems is why A4NH takes a holistic approach to food systems, aiming to understand the interactions between different parts and act upon how together they are effecting change, rather than seeking to improve individual parts in isolation. To learn more about A4NH’s work on food systems, please visit the Food Systems for Healthier Diets Flagship page. 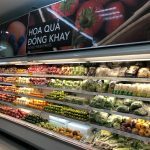 As part of our recent meetings in Vietnam, the A4NH team had the opportunity to visit three different markets in Hanoi: a traditional wet market, a smaller neighborhood market, and a supermarket. 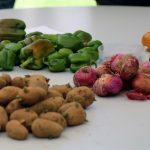 What we saw and learned during those visits provided insights into what challenges arise as a food system transforms. The Food Systems for Healthier Diets flagship, established as part of A4NH’s second phase, is taking an in-depth look at food systems in priority countries. Using a food systems lens to characterize linkages between food policy, food production, consumer choices, behaviors, and, ultimately, diets and nutrition outcomes is a new approach. 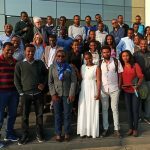 A4NH's Food Systems for Healthier Diets (FSHD) flagship has initiated a series of activities in Ethiopia to better understand the interactive components of Ethiopia's food system. 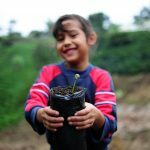 Sustainable Food Systems: Agriculture By Another Name? This piece is excerpted from a post by Steven D. Prager, Mark Lundy, and Chris Bene of A4NH Managing Partner CIAT. The full post was originally published on Challenge Prize Centre.